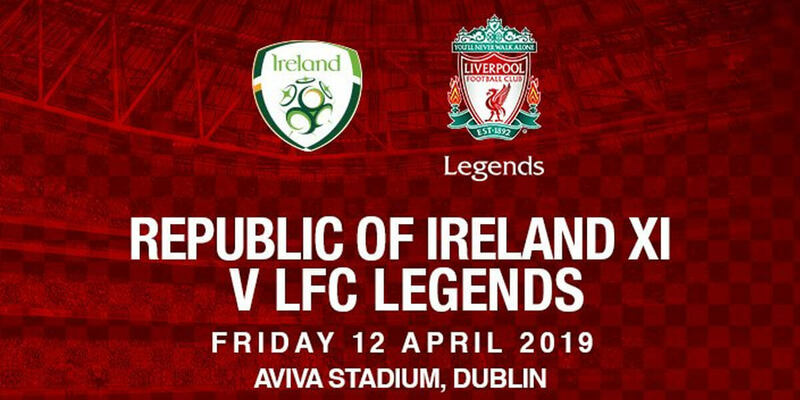 In aid of the fundraising drive for Sean Cox, a team of LFC Legends will take on a team of RoI Legends in a unique game at Aviva Stadium on Friday, April 12th. Former Reds will line up against an Ireland XI legends team with proceeds raised from the game donated to the Sean Cox Rehabilitation Trust. Sean, who hails from County Meath, was badly injured whilst attending a UEFA Champions League game at Anfield and there has been a huge swell of support in the aftermath to aid his recovery.